Are you a sucker for a gorgeous Instagram-feed? But you just no matter what you try can't get those perfect Instagram travel shots? Then listen (more like read, but you get the point) carefully at what I'm about to tell you. Getting those banger Insta-shots doesn't have to be that difficult. 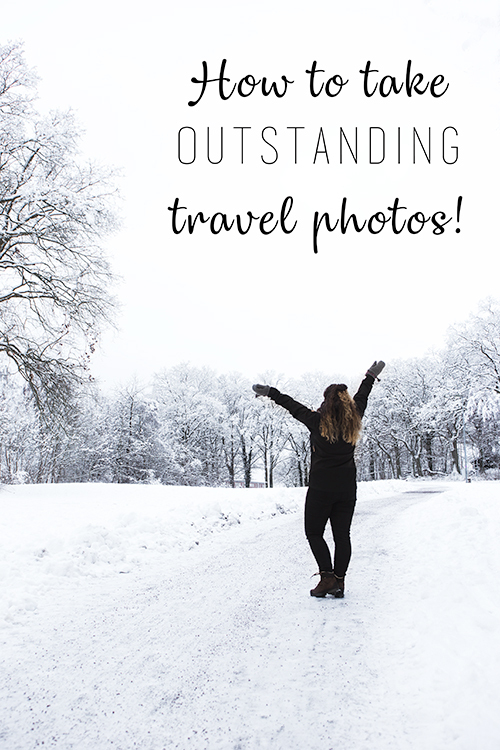 Here are 8 tips on how to up your Instagram game and take outstanding travel photos! If you are really serious about taking your photography to the next level you should, if you can afford, invest in some quality gear. Small point-and-shoot cameras are no longer super expensive and you can get an entry level DSLR camera for a small amount of money. This step is of course not a necessety but it gives you the creative freedom to take the picture you want. With a more advanced camera you can adjust your settings manually and get a unique picture created by you! But remember; the best camera is the one you have with you. Your iPhone is good enough! The light changes trough out the day and you should therefor have that in mind when you take your picture. Shooting in the middle of the day in the glazing sun might not always be the best idea. The light is harsh and creates weird shadows on people. The best time for shooting is around sunrise or sunset. The light is the soft and will light your subject beautifully. If you really want that perfect shot, get up early. Not only is the light great but the tourists aren't awake yet! Which is great for you! That way you won't have 125 random tourists in the background of your shot and it will look much better! The rule of thirds is super simple. Google it if you've never heard of it! Always have it in the back of your mind. Editing isn't cheating, it's a part of photography. Learn the basics and your photos can go from blah to WOW. What is it about their pictures that you like? Is it the blurry background? The colors? The composition? When you have examples of what you like then learn how to do that specific thing! Hannah (picture below) is one of my favorite people on Instagram. Therefor I sometimes look back at her feed, analyze what I like about it and learn from it! Don't copy other photographers, find your own style of shooting and play with it! It's no fun if everyones photos look the same. Be you, always. I'm all for getting inspired by other photographers but don't EVER copy! I hate being in photos and I've always been behind the camera. But it's no secret that it's more interesting seeing a picture with a person in it than with out. So get in your photos, put your best smile on and take a picture! Not only is the picture more interesting to look at, for example you can use yourself for scale which I think is such a cool photo! Christian from Lost Leblanc is so good at this. By including himself in a picture he really shows off how big something in the background is and his pictures are so cool! I hope you learnt something from this post and that you found it useful. Don't forget that to become a great photographer you need to practice. Pick up your camera, whether it's your iPhone or a DSLR, and go out and shoot, shoot, shoot! It's a common saying that you need to do something for 10,000 hrs to become an expert and it so is the case with photography as well, you don't go pro over a night. Put in the time and effort and you will be rewarded with great photos! Good luck on your photography journey! Don't forget to pin this post for later!